A Pharmacy Technician is a health care worker who prepares and dispenses medications and performs other pharmacy related duties under the supervision of a licensed pharmacist. Technicians work primarily in retail and hospital pharmacies, but may also have opportunities in long-term care, home health care, drug manufacturing companies, and third-party insurance companies. 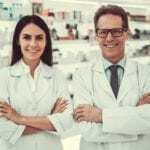 The responsibilities of a pharmacy technician include reading and interpreting prescriptions, packaging and labeling medications, ordering and updating stock, attending to customer service issues, confirming refills with physicians’ offices, performing administrative duties, and following up on payments with insurance companies. 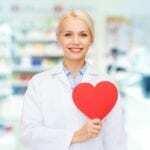 In some settings, technicians may answer customer queries over the phone, counsel patients on the proper use of medications, and offer advice on non-prescription medications. Formal training programs provide the knowledge and skills as essential preparation for the profession. The minimum requirement for enrolling in a pharmacy technician program is a high school diploma. A college degree is not required. The program is available at community colleges, technical schools, proprietary schools, hospitals, high schools, and distance education. Common areas of study include medical terminology related to pharmacy, ethics in health care, human growth and development, anatomy and physiology, pharmacology, dosage calculations, pharmacy operations in retail and institutional pharmacies, customer care, inventory management, and billing. Certification as a pharmacy technician is not required for practice in Georgia. However, many employers favor certification as a standard requirement for their employees. The Georgia Board of Pharmacy recognizes certification through a Pharmacy Technician Certification Board (PTCB) nationally certified pharmacy technician program or the ExCPT exam provided by the National Healthcareer Association (NHA) Pharmacy Technician Certification (CPhT). Certified technicians must submit a copy of their PTCB or NHA certificate to the Board. The comprehensive 75-hour pharmacy technician program at Clayton State University prepares students to enter the field of pharmacy and succeed on the Pharmacy Technician Certification Board Exam. Course topics include reading and interpreting prescriptions, medical terminology, defining drugs by generic and brand names, I.V. flow rates, billing and reimbursement, inventory control, drug compounding, dosage calculations, and customer service. Students will learn basic pharmacology, routes of administration, drug classifications, the duties and responsibilities of a pharmacy technician, functions of inventory control and purchasing, anatomy and physiology, the procedures related to the drug manufacturing, packaging and labeling medications, aseptic techniques, and compounding. Instructors will use lectures, quizzes, and a final exam to deliver the course content and assess students’ performance through the program. Students must attend a minimum of 80% of the classes and have a final average grade of 70% to graduate from the program. The duration of the program is 10 weeks. Classes meet Mondays and Wednesdays from 6:00 pm to 8:30 pm. Tuition for the program is $1,899. Students must purchase the course textbook, workbook, navy blue scrubs, and white lab coat to attend classes. The pharmacy technician program at Fortis College covers 780 contact hours of theory and practical instruction. 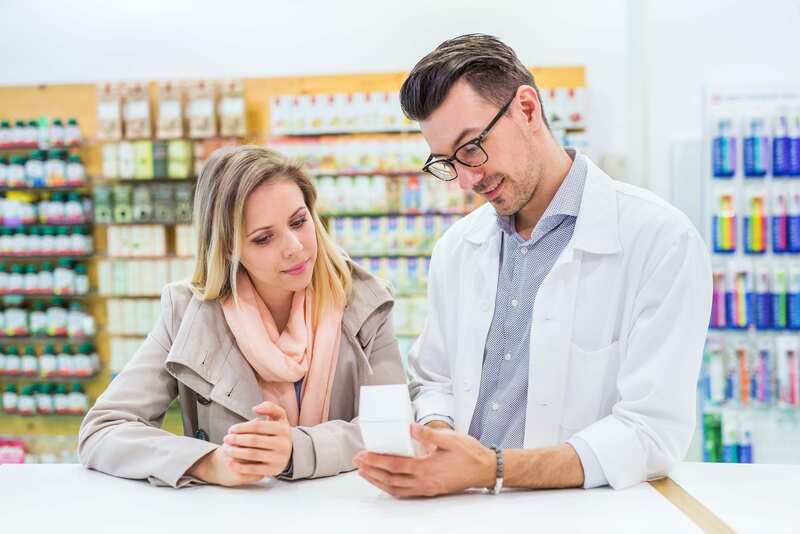 Graduates will be prepared for entry-level employment in a retail or institutional pharmacy where they will receive and prepares prescriptions for dispensing. Lectures, demonstrations, and assessments in the classroom will provide a solid foundation of the fundamentals of pharmacy practice, the role of the technicians, and use of pharmacy terminology for successful practice. The pharmacy externship will provide students with the opportunity with the opportunity to use their technical skills in a real-world environment. The pharmacy externship must be completed before graduating from the program. Graduates will be eligible to take the National Healthcareer Association’s exam for Certification as a Pharmacy Technician. Course topics include introduction to health professions, medical terminology, medical anatomy and physiology, fundamentals of pharmacy, mathematics for pharmacy technicians, drug classification systems, pharmacy practice and principles, pharmacology for pharmacy technicians, intravenous admixtures and aseptic compounding, preparation and career development, and pharmacy externship. The pharmacy externship covers 180 hours. Tuition for the program is $15,325. Books and supplies cost an additional $1,093. 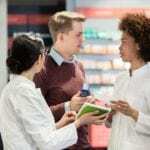 Students enrolled in the pharmacy technician program at Kennesaw State University will learn how to communicate with physicians and insurance companies, assist licensed pharmacists with the preparation of medications for dispensing, attend to customer service issues, and manage HIPAA security and privacy. Hands-on training will include managing over the counter medicines, processing of prescriptions, practice within state and federal pharmacy laws, dosage forms and classifications, and drug information references. Lectures will cover concepts of pharmacology, duties and responsibilities of the pharmacy technician, classification of drugs, basic anatomy and physiology, inventory control and purchasing, trade and generic names of drugs, aseptic technique, compounding, and parenteral dosage, routes of administration, and the manufacturing and labeling of drugs. The program will cover 65 contact hours of intensive training to prepare students for employment and the Pharmacy Technician Certification Board’s Pharmacy Technician Certification Exam (CPhT). Classes will meet for 26 sessions. New students are admitted in February and August. Tuition for the program is $1,799. Lanier Technical College facilitates a Pharmacy Assistant Technical Certificate to prepare adults with the skills to receive and dispense medications under the supervision of a registered pharmacist. Instructors will employ lectures, videos, demonstrations, lab practice, and practice in a real-world setting to foster the development of the skills need to function as entry-level technicians. A certificate and diploma option is available. Students must complete 35 credits for the Pharmacy Technician Certificate or 56 credit hours for the Pharmacy Technician Diploma. Areas of study include medical terminology, principles of dispensing medications, fundamentals of mathematics, pharmaceutical calculations, pharmacology, and pharmacy assistant practicum. Additional studies for the diploma program include pharmacy tech principles, sterile med prep, human body structure and function, dispensing medications, introduction to healthcare, and introduction to computers. Students must earn a passing grade of 80% or more to graduate from the program. New students are admitted in the Fall and Spring semesters. Tuition costs $89 per credit hour. The focused pharmacy technician program at American National College equips students with a wide range of skills to function as efficient members of the pharmacy team. Students will learn the effects and uses of drugs, drug distribution systems, basic anatomy and physiology, medical billing pharmaceutical calculations, and human relations. Graduates will receive a Pharmacy Technician Certificate and be prepared to take the Pharmacy Technician Certification Board Exam. They will be eligible for entry-level employment as a pharmacy technician, production fill tech, order entry representative, or inventory control clerk. Employment opportunities are available in hospitals, clinical, retail pharmacy chains, community pharmacies, home health care, and industrial pharmacies. The duration of the full-time program is 36 weeks. The evening program is 48 weeks.